Only three more sleeps until Santa, people! That means it's time to cram in as much caroling, Christmas movies and baking as we possibly can over the next few days. If you follow me on Instagram, you know that we spend Saturday afternoon in the emergency room after HDawg had an allergic reaction to (we think) a pecan. He has a severe dairy allergy and we already carry an EpiPen for that, but have never had to use it. Apparently the pecan did the trick, though (even though he regularly eats almonds, peanuts and cashews! ), and we landed in the ER. Thankfully the nurses administered the EpiPen and this frantic momma did not have to... but it was altogether a traumatic event. Needless to say, I'm hugging my little family a little tighter today, grateful that everyone is well and that HDawg has just about completely recovered from the reaction. Because of his dairy (and now tree nut?! will certainly be taking him to his allergy doctor this week for a new full panel test!) 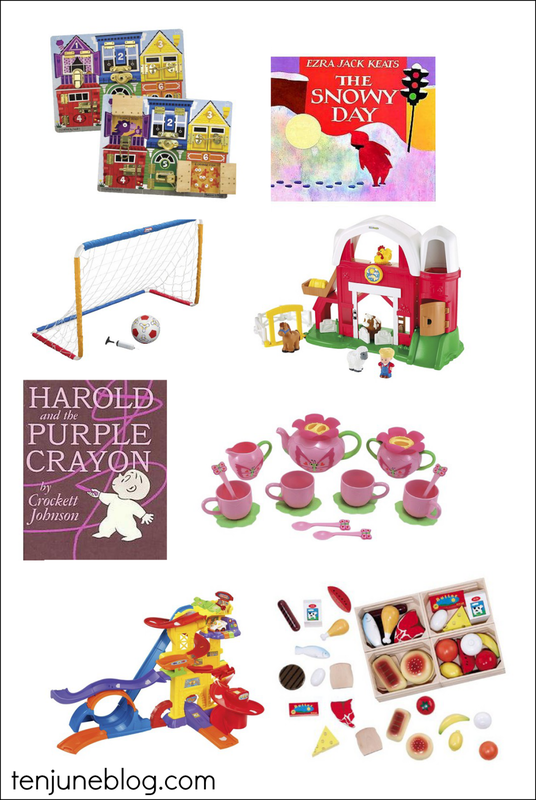 allergy, we closely monitor and exclude a lot of prepackaged foods for our family. 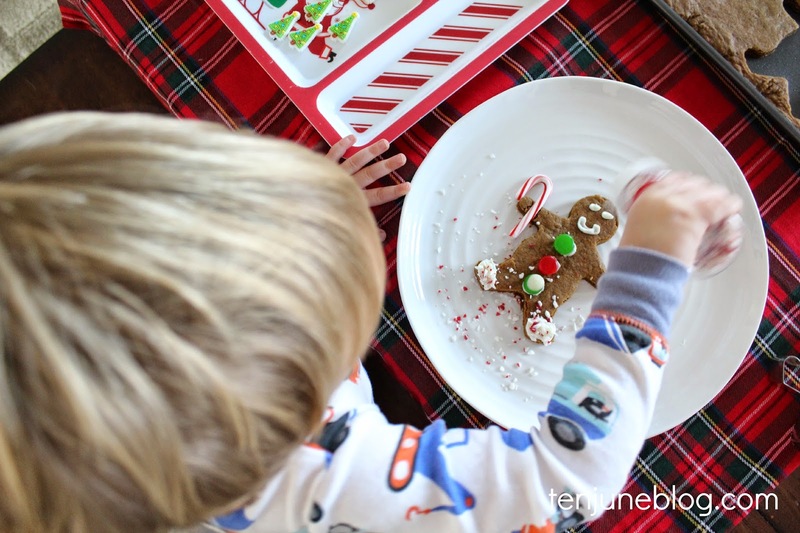 That makes Christmas parties no fun for him a lot of the time, so I wanted to create a special gingerbread man baking/decorating time for him to eat all of the dairy-free goodies he wanted. I purchased this gingerbread mix and used Earth Balance vegan butter to make the recipe. I also whipped up a batch of dairy free buttercream frosting with a standard homemade buttercream frosting recipe by subbing in soy milk and Earth Balance. Delicious. I picked up all of the other fun, dairy-free, sugar-high cookie decor in the holiday baking aisle at Target. 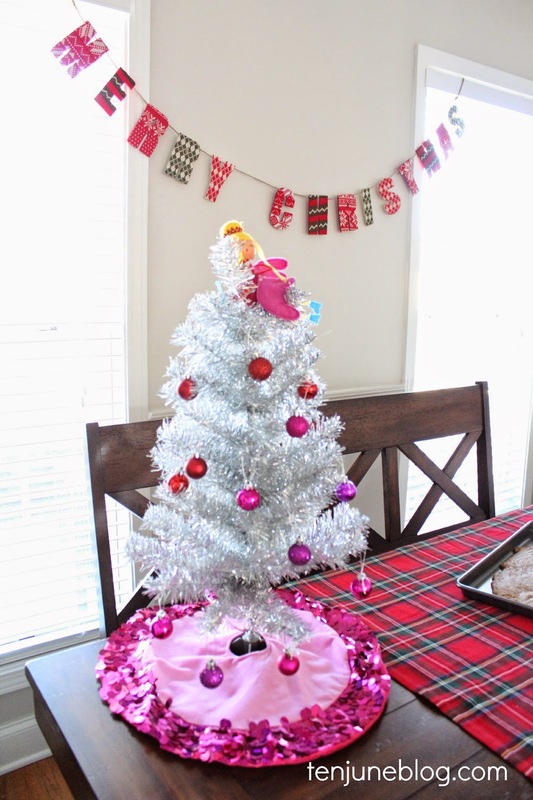 Tiny little gingerbread men and Christmas trees? Check. 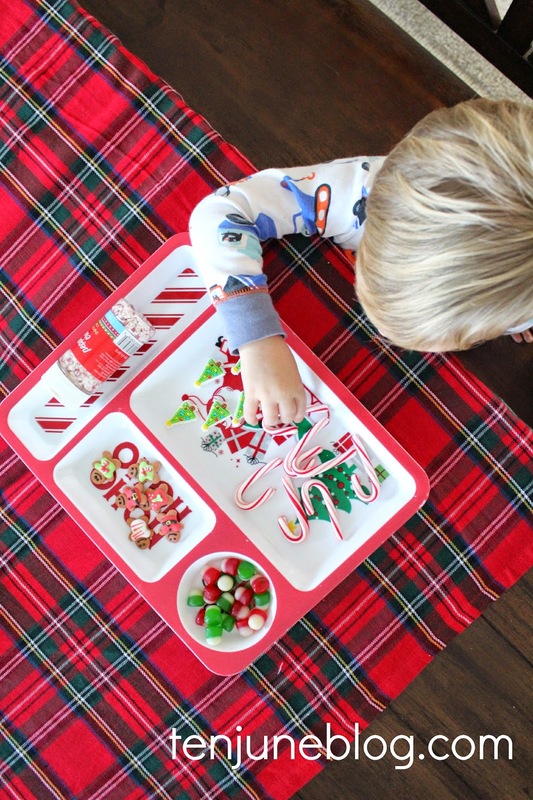 The Santa tray, tiny Christmas tree, ornaments and "Merry Christmas" banner are also from Target. 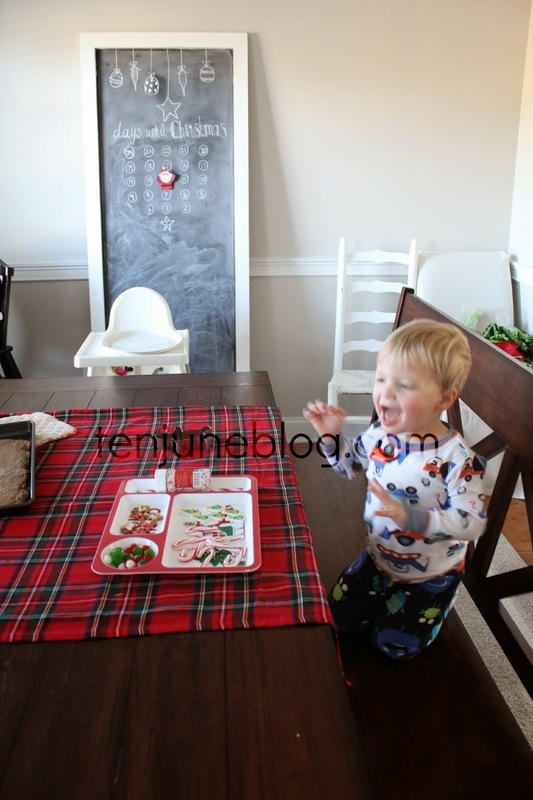 Thanks to Target for partnering up with me to share some of their fun holiday products! A million years ago (ie. 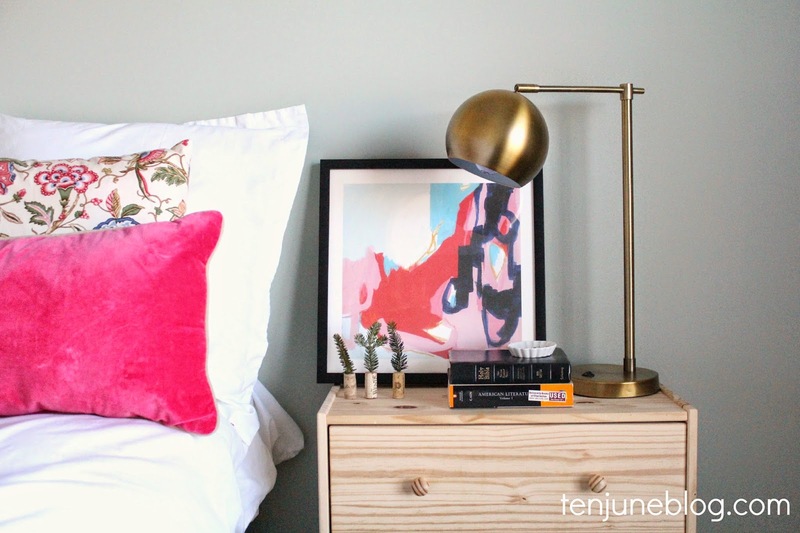 way back when here), I bought these little Ikea nightstands with grand intentions of making them over with fresh paint and new knobs and other great goodness. Then I went all paralyzed with the options (have you ever searched Pinterest for "Ikea Rast hack?" Yeah, you'll be scrolling for hours with the amazing results.) and couldn't decide how to refinish. Then I got a better idea... 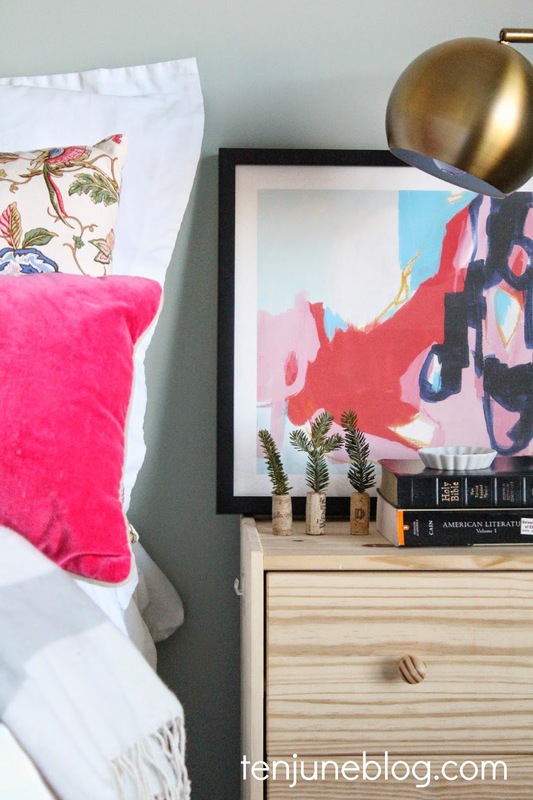 I wanted to use these for some really fun kids storage and I wanted to find "the perfect antique solid wood mismatched but-still-look-good-together nightstands" for us. Yes, my middle name is High Expectations. Needless to say, the great nightstand saga is still unfolding. Otherwise known as... we still have cheap, unfinished Ikea mini dressers next to our bed, years later. Woops. So in the mean time, I decided to make them look pretty. 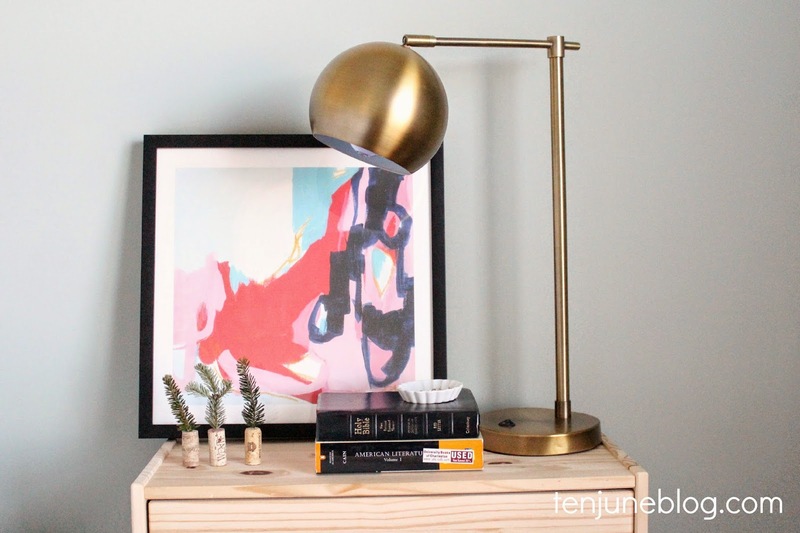 I gussied up the ol' Ikea piece with a shiny new gold lamp (Target), a pretty new abstract art print (Minted) and some other accessories (yes, like my college English textbook which I am, in fact, currently re-reading). 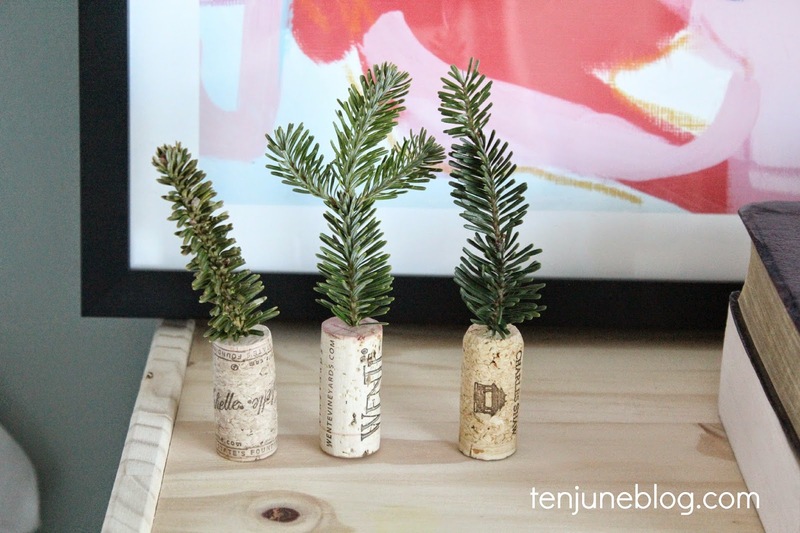 I even added a little holiday flare with some sweet-smelling evergreen clippings stuffed into little corks. How cute would those be as place cards at your Christmas table? 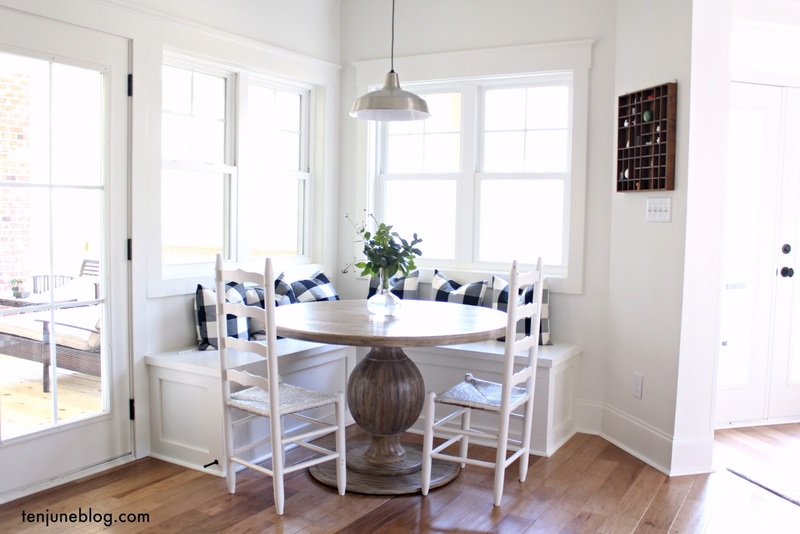 All of this added prettiness almost makes me forget that we're still talking about a cheapo piece of raw wood, yeah?! 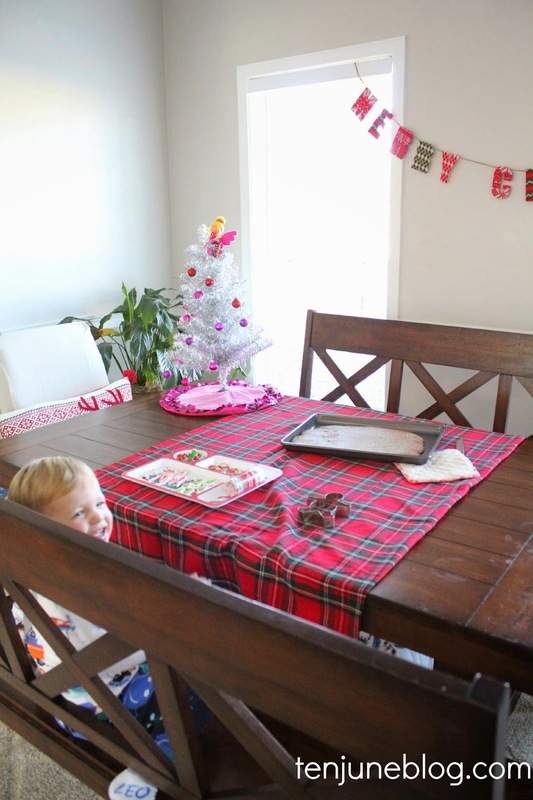 Three cheers to Michelle for world's longest Ikea hack! There's nothing better than watching someone open up a Christmas gift and look genuinely happy and excited about the gift that you chose for them. Well, unless you made that gift like a rockstar DIYer. Handmades gifts are one of the best ways to tell someone- "hey, I love you so much that I broke out the glue gun for you." Or something like that. So if you're feeling inspired to go the handmade route this Christmas (or if your wallet is telling you it's time to be frugal on gifts this year! 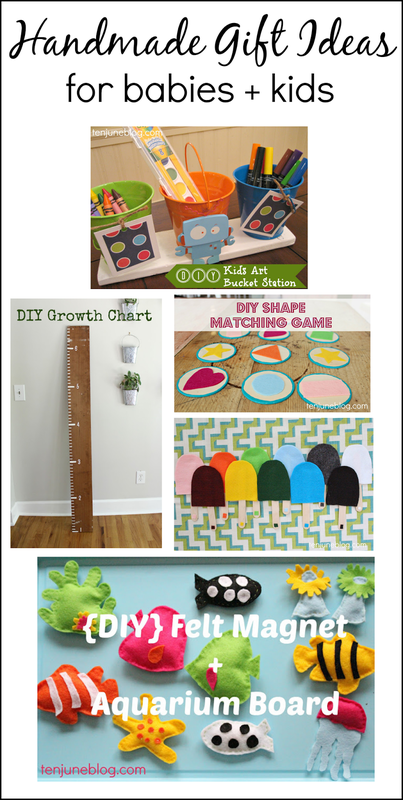 ), I've rounded up a few of my favorite handmade gift ideas for the home decor lover and the babies + kiddos in your life. Ho ho ho! 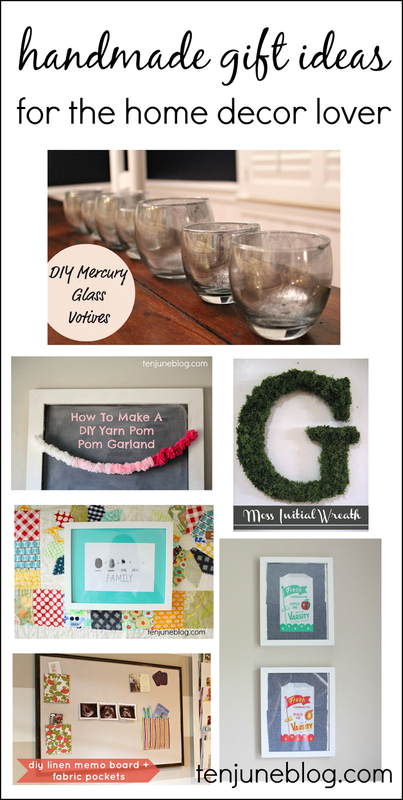 Are you making any other fun handmade gifts this year? Woodsmen chic. That's a thing, right? Well, this year it is at my house. 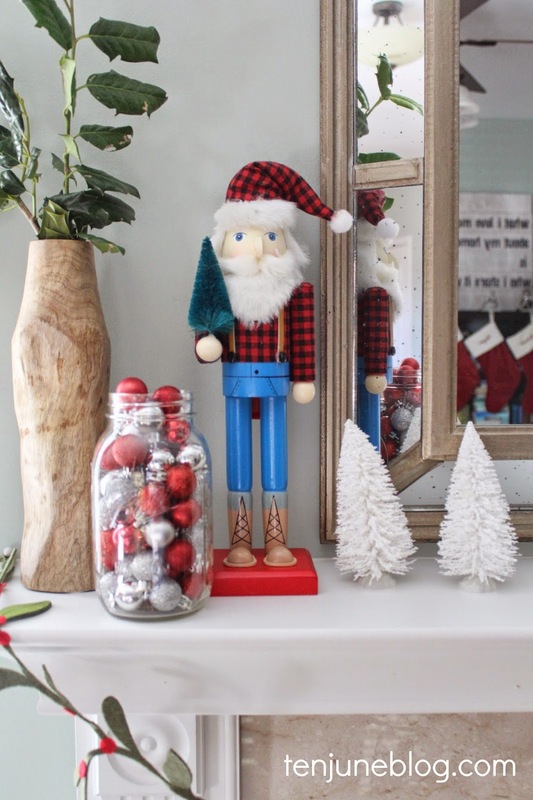 Mr. Woodsmen and his cute flannel self inspired my 2014 Christmas mantel. I paired this woodsmen nutcracker ($10!) 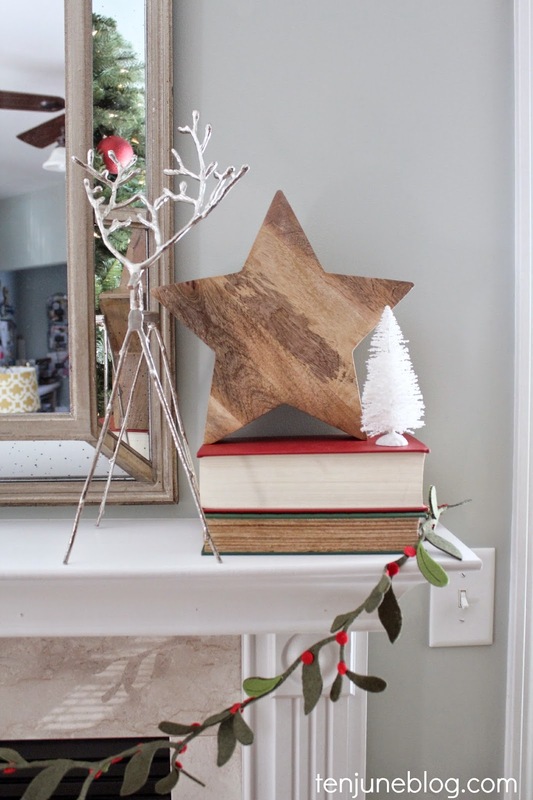 with some wooden objects (like my favorite Threshold wooden vase and this wooden star) and trees (these tiny white bottle trees are from JoAnn's). Gotta make my man in plaid comfortable with trees and wood, amiright? I also added some holly leaves from my front yard, my twiggy silver reindeer from year's past, a mason jar with tiny ornaments, some vintage red + green books and this felt holly garland. 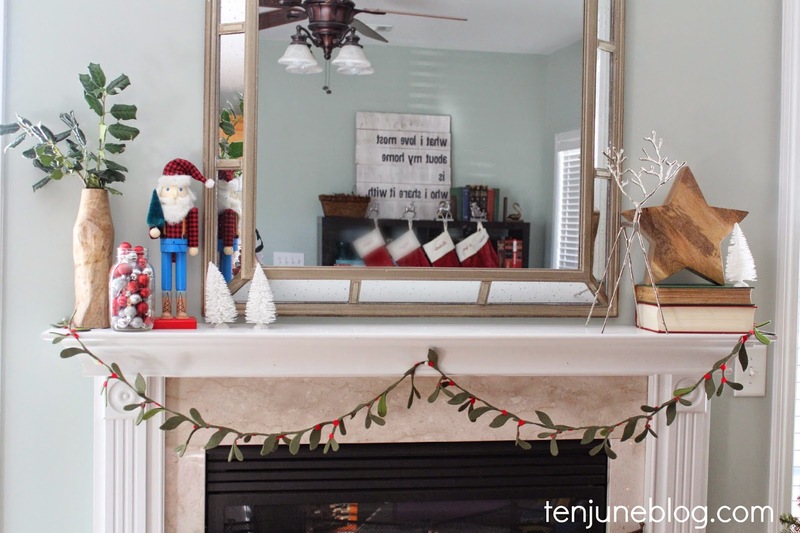 We use our fireplace all of the time and I didn't want the stockings in the way, so I opted to hang our classic monogrammed velvet stockings on the bookshelf on the other side of the room. While I'm certainly crushing on Mr. Woodsmen and his awesome beard, I have to say that my favorite part of this year's mantel is the wooden star. It's such a powerful reminder of the reason for the season and the star that led so many to worship the brand new baby Jesus. 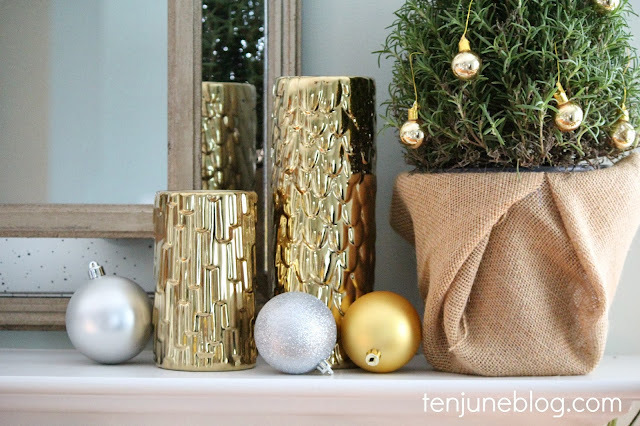 Thanks to Target for partnering up with me to share some of their fun Christmas holiday decor! 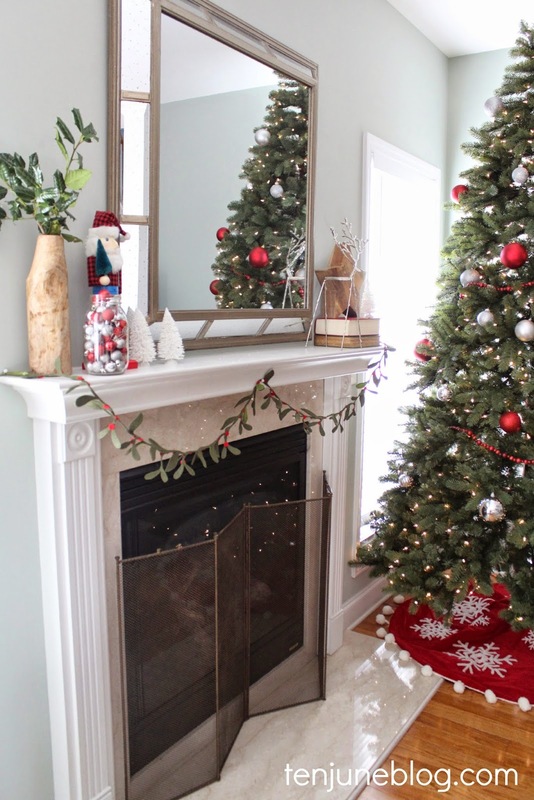 Want to see more Christmas mantels? 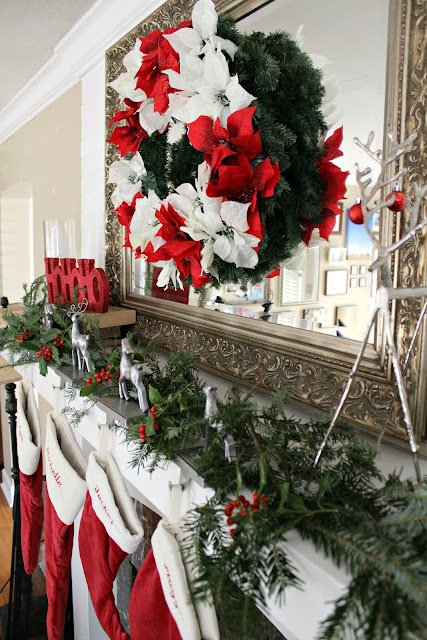 Check out some of my favorite past mantels. 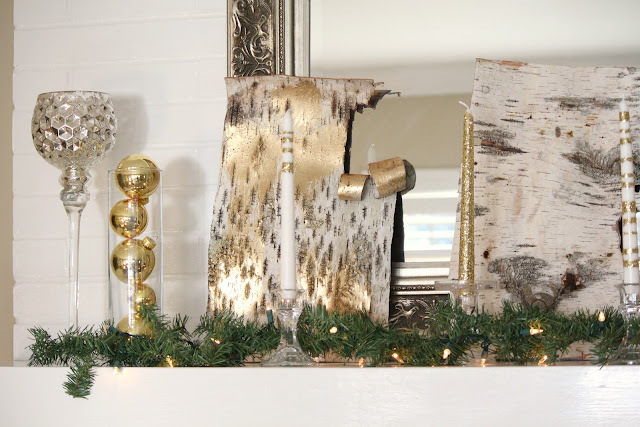 All three of those posts have link parties with hundreds of your best holiday mantels, so be sure to check them all out!